Central bankers are a closely watched lot. This week, when the Federal Reserve's two-day meeting kicks off Tuesday, it will be no different. Stock market investors will be especially keeping a close eye on how the bankers view the U.S. economy's progress. Recently, there have been signs that economic growth is losing steam -- job growth slowed in March, retail sales slumped and the manufacturing sector showed signs of weakness. Still, stocks are on track to end April on a positive note this week, the fourth month of gains for 2013. 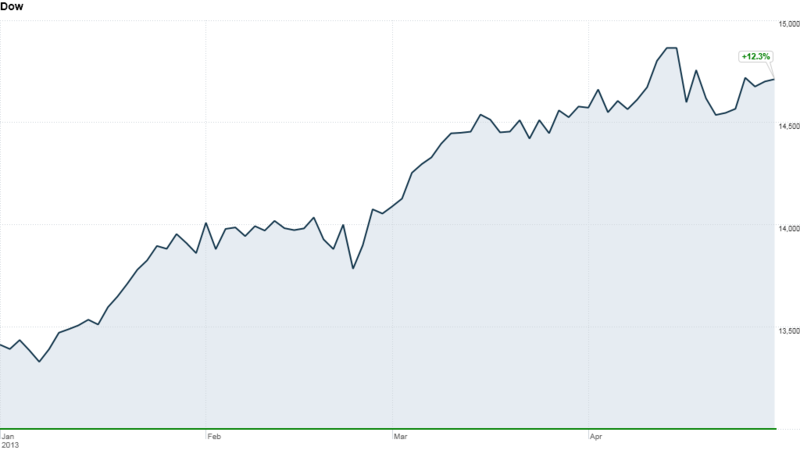 The Dow headed for its fifth consecutive up month, and the S&P and Nasdaq are poised for their sixth. So far this month, the Dow Jones industrial average is up 0.9%, while the S&P 500 has gained 0.8% and the Nasdaq is up 0.4%. 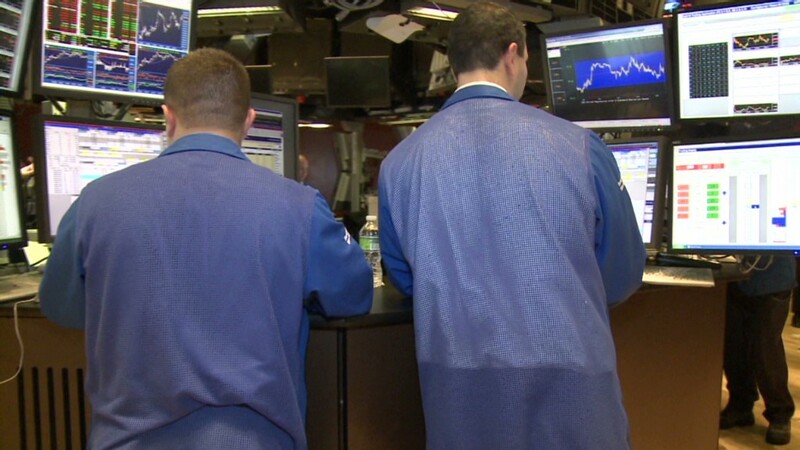 But trading could be choppy this week as investors take in another batch of corporate earnings, prepare to face the April jobs report, while digesting the central bank meeting. Investors are hoping the Fed will pledge to keep up its pace of buying $85 billion in bonds each month, which has helped keep interest rates low. Also overseas, the European Central Bank is meeting Thursday. It is expected to cut the benchmark interest rate as the region's economies continue to struggle. The commitment from the Fed, ECB as well as other central banks around the world to buy bonds and keep interest rates low until economic growth is stronger and sustainable has helped fuel the global stock market rally. The ongoing stimulus is likely to keep markets lifted. The closely-watched monthly jobs report for April is scheduled for release on Friday. It will give investors a better idea of whether companies have picked up the pace of hiring, a key driver of the economy. Economists expect the economy to have added 150,000 jobs this month, after just 88,000 in March, according to Briefing.com. The unemployment rate is forecast to hold steady at 7.6%. Leading up to Friday's jobs report, investors will get snapshots of the labor market from payroll processing firm ADP, Challenger's report on job cuts, and the government's weekly report on initial unemployment claims. The week's heavy economic calendar also includes reports on personal income and spending, the housing market, manufacturing and consumer confidence. The corporate earnings calendar is also busy. Mark Zuckerberg's Facebook (FB), controversial supplements company Herbalife (HLF) and gunmaker Sturm Ruger (RGR) are all on tap to open their books. More than 100 S&P 500 companies are reporting results this week, including drug makers Pfizer (PFE) and Merck (MRK), First Solar (FSLR), credit card companies Visa (V) and Mastercard (MA), AIG (AIG), and Warren Buffett's Berkshire Hathaway (BRKA). A slew of media companies are also slated to announce earnings, including CNNMoney parent Time Warner (TWC), Comcast (CMCSA), Viacom (VIA), CBS (CBS) and Dreamworks Animation (DWA). Auto giants General Motors (GM) and Chrysler parent company Fiat (FIADF) are also expected to report. More than half of the S&P 500 companies have already reported results, and nearly 70% have topped expectations, according to Thomson Reuters. However, only 43% have exceeded revenue forecasts, which is considerably below the long-term average of 62%.